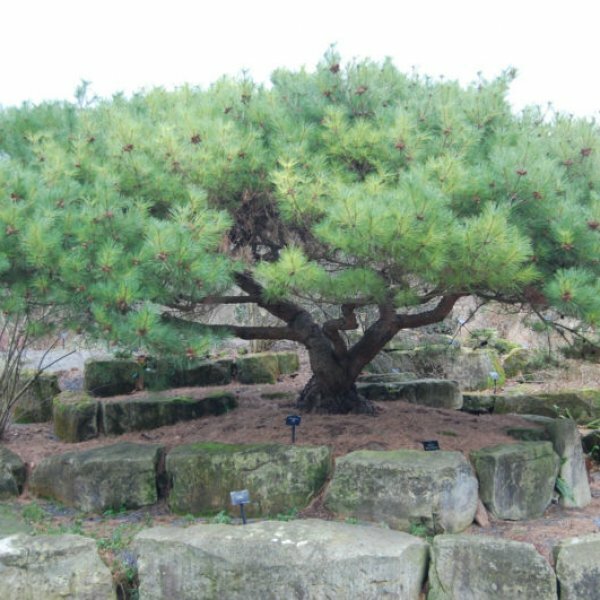 This low, spreading, little-known evergreen from East Asia is as handsome as the popular Mugho pine (Pinus mugo), but less trouble-prone. 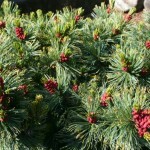 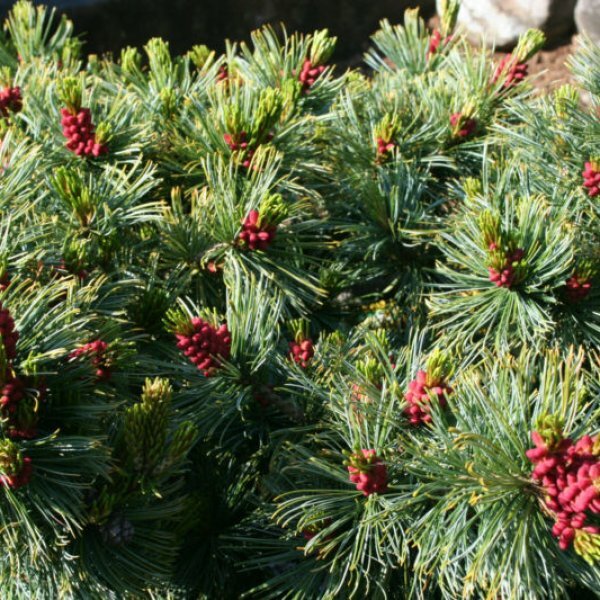 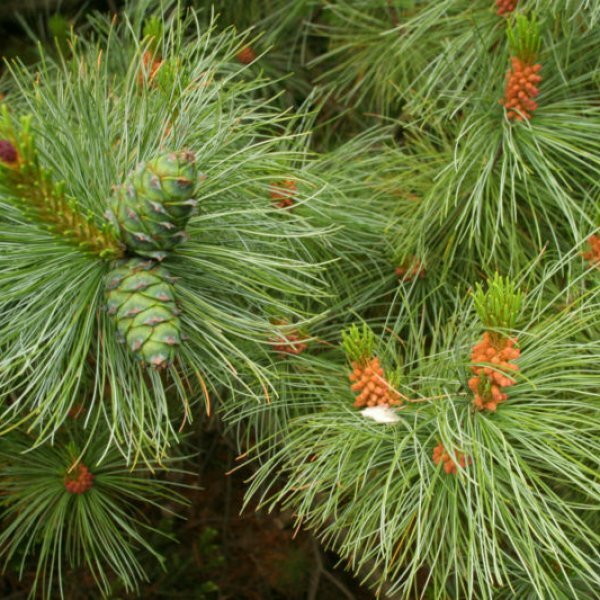 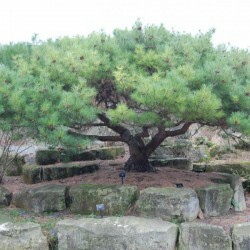 The long, rigid, dark blue-green needles of this shrubby pine occur in bundles of five. They densely clothe the ascending to prostrate branches. 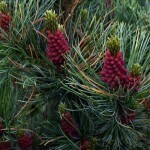 In spring, plants produce clusters of tiny male cones and egg-shaped female cones near the branch tips. 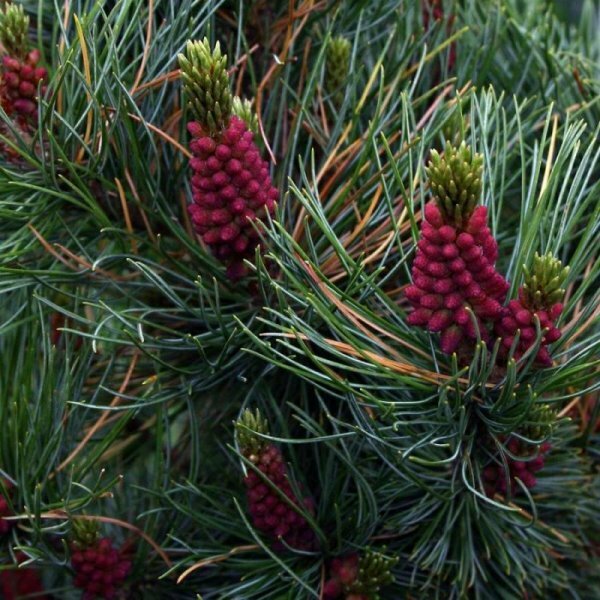 The erect cones are sheathed with fleshy, resinous green scales that turn woody and brown (or purple) as they mature. 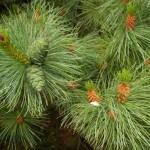 The scales remain closed, relying on browsing animals to release the seeds.This slow-growing pine eventually forms a broad, low to tall shrub.